Manchester United were able to steal three points from Crystal Palace on Monday, as Nemanja Matic’s injury-time winner saw the scoreline finish 3-2 at Selhurst Park. Second half goals from Chris Smalling and Romelu Lukaku started the comeback that rendered the initial goals of Andros Townsend and Patrick van Aanholt as futile. 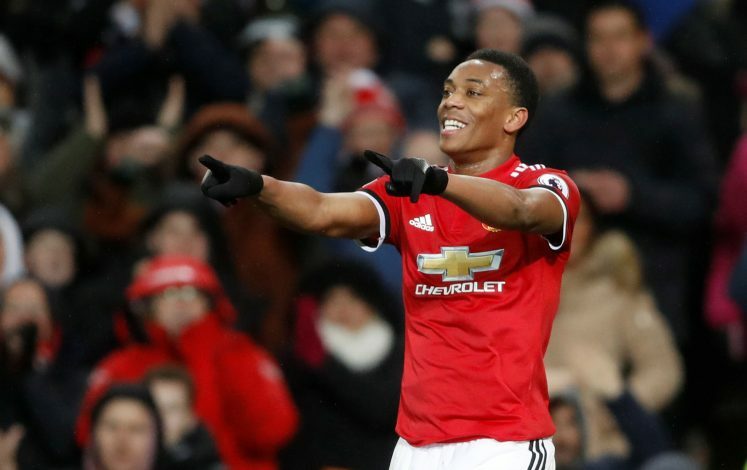 However, one noticeable absence from the remarkable fixture was that of Anthony Martial, who wasn’t even named on the team sheet. Last week, against Chelsea, the Frenchman was given his preferred spot, and appeared to play quite well in it. This made the omission stand out quite a bit, and had a few fans worried. Supporters will be eagerly hoping that the injury isn’t a major one, and that the starlet will be back to first-team football after a brief spell on the sidelines. However, under the present lineup, the problem that lingers is obvious. United still have too many great talents in terms of attacking options. Despite the absence of Martial on Monday, the club still had the likes of Mata, Rashford, and Lingard to choose from. Sanchez’s almost certain spot on the other flank ensures that a selection dilemma still exists. Perhaps the injury will give Mourinho the time to determine what it best for the side and its youngsters.